Owh, YES.. we did it together!! nYomoT did help in the kitchen. (Ok, tipu! I did help in the kitchen.. hehe) TQ cygg~!! Lucky me to have such a wonderful husband as you~!! OK, back to the topic.. The cookies we've made are Suji cookies, Coconut cookies, Chocolate chip cookies and Cornflakes with honey cookies. A simple cookies but yet it's kinda great achievement to us. A benchmark for next year as well. Must be better than this year rite..?? Huhu.. quite tough though~!! Kids, I know you guys are excited to get your DUIT RAYA. No worries, yours are safely with us. 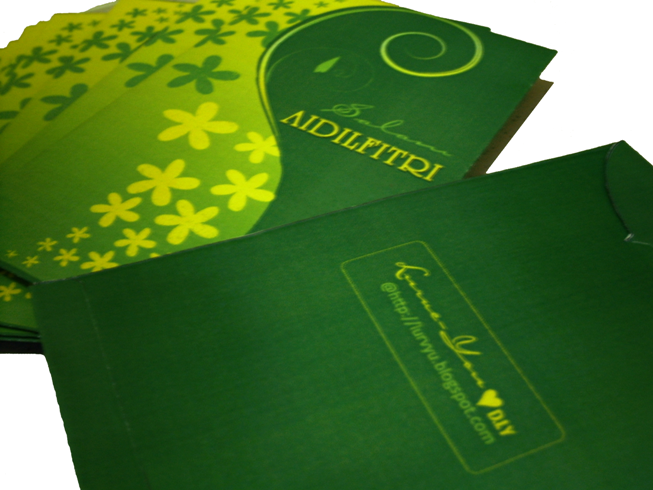 BTW, our DIY Aidilfitri Money Packet project is done. Waiting for distribution. A little sneak peek.. Haipp~!! Please be patient kids.. I did an entry on this here and if you want the template, feel free to grab it here. How about baju raya..?? We didn't buy any baju raya yet. Which equals to NO BAJU RAYA for this year! Hehee.. Actually, we've decided to celebrate Aidilfitri this year as simple as possible. 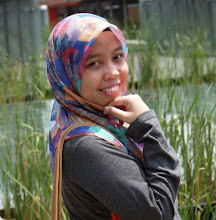 So this year, 2010 is my FIRST Aidilfitri..
without baju raya, tudung raya, handbag raya etc..
a simple Aidilfitri but yet full of excitement~!! I think, that is all about Aidilfitri preps and celebration. Hope that yours are working fine too. I'll be back to work on 20th September 2010. A looong holiday for me~!! Have a safe journey to those going back to your hometown. See you all soon and have a joyful Eid Mubarak~! !